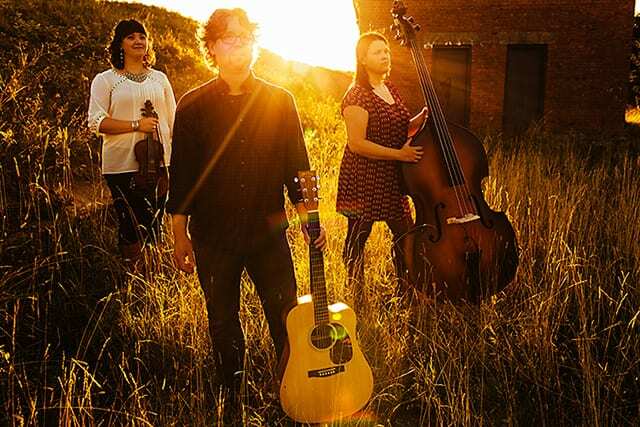 The Worry Birds – take equal parts Celtic and folk, add a dash of classical, a pinch of pop and you have the sing-able melodies, the driving tunes that are the unique vibe of this group. Formed in 2010 by lead singer Zach Smith, The Worry Birds have evolved from a humble three piece folk band to a five piece Celtic band combining guitar, fiddle, double bass, highland pipes, accordion and vocal harmonies to produce every sound from the dulcet tones of a string quartet to the frenetic pulse of a driving rock band. Their debut CD “Imperfect” was recorded, mixed and mastered by award-winning musician Dave Gunning and features songs and tunes written during the bands’ first three years together. Join us in welcoming The Worry Birds to our Deep Roots Music Festival stage.